Queneerich impresses on the catwalk and online. Miss World Philippines 2012 Queneerich Rehman sashays in a stunning Michael Cinco creation and continues to rack in online votes via her official Facebook page. Photo is from www.missworld.com. After being shortlisted in the Talent and Top Model Competition, Queneerich Rehman continues to shine in the 62nd Miss World Pageant being held in Ordos, Inner Mongolia, China. Her extraordinary beatboxing skills wowed the audience, earning her a standing ovation. Aside from her hip and rock-chick side as shown during the Talent Competition, Quenee also displayed her majestic poise in the Top Model Competition. She was also included in the top 40 semi finalists in the Beach Beauty competition. Quenee’s continued stellar performance in the pageant gives Filipinos hope that she will win the highly-coveted Miss World crown. In the coming days, she is set to compete in two more pageant competitions: Sports and Fitness and Beauty with a Purpose. Pinoys can help boost Quenee’s place in the pageant by liking her official Facebook account. At stake is the Multimedia Award, which will earn her points that contribute to her overall score. She currently lags behind Thailand and Nepal in this category. With the entire Philippines behind her, Quenee will surely bag this special award. 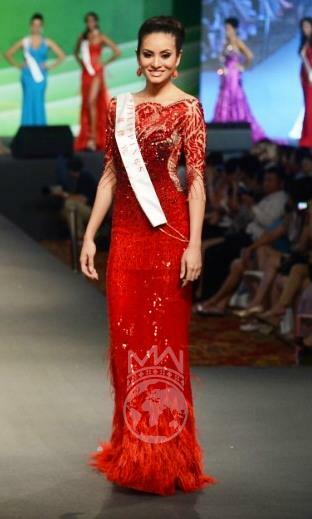 TV5 will air the Miss World Pageant on August 18 at 5:30PM.